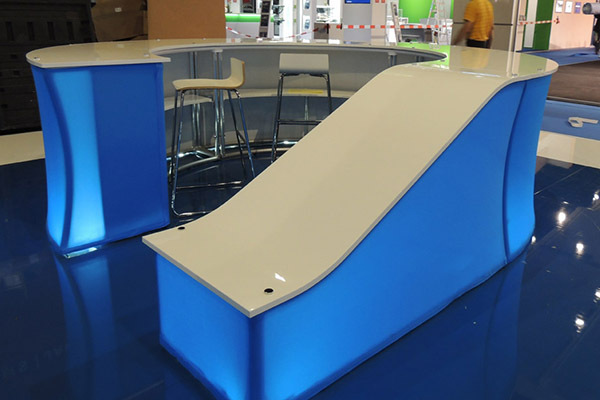 The use of counters is common in many spaces, from retail to tradeshow to interior office spaces. While their function is practical, they are part of a bigger picture – an ENVIRONMENT. 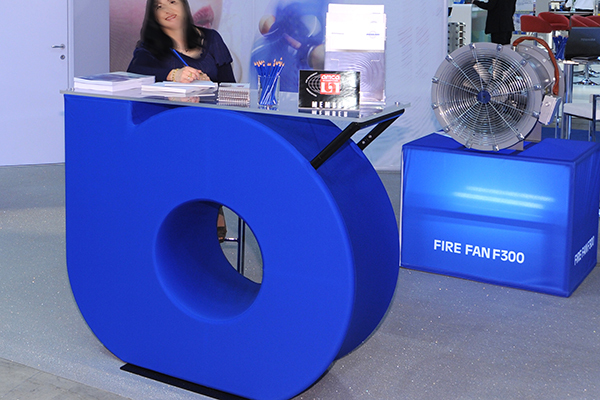 Below are examples for how fabric structures can be used as a solution for creating custom counters that add a memorable connection point to an environment and a brand. Fabric has a natural tendency to follow the path of least resistance. Strategically placing the interior metal supports beneath a fabric covering creates soft lines, unique form and visual flow. Organic design is an informal way to add luxury and a focal point within an environment. 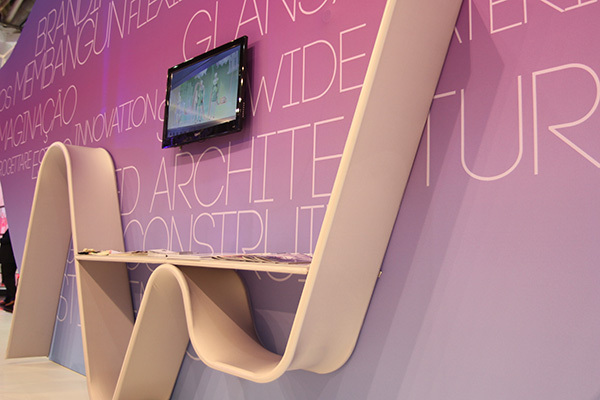 Who says a counter can’t take on the form of your brand? Recreating a logo or memorable shape within a brand image in fabric can generate an unexpected connection point for guests while adding an element of distinction to the environment. Think brand association. As technology interaction gains prominence in environments, fabric structures add the needed styling to the display itself. While the exterior can take on any form, with or without graphics, internal support work and wire management is easily hidden on the interior. The architectural component that tension fabric offers can create a focal point within a space. 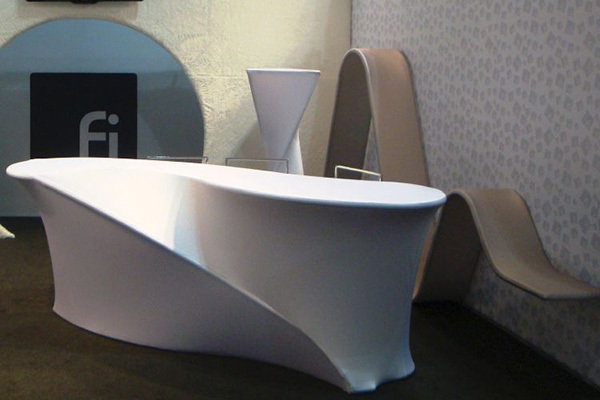 The shape can be simple or complex, depending on the brand and space available. While frame and fabric form the shape, hard surfaces can be easily integrated to create counters and shelving. A variety of textiles are available that enhance the effects of lighting. 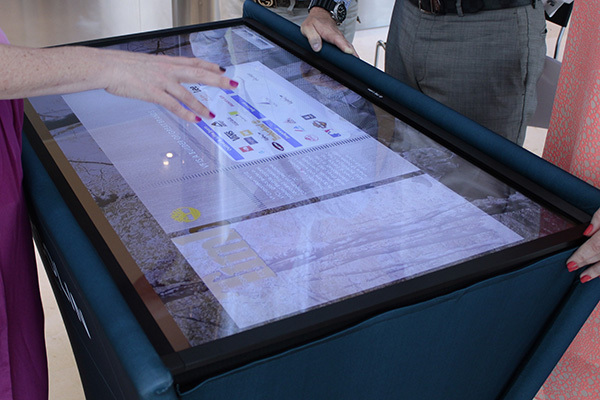 With the flexibility that fabric offers, creating non-linear shapes that are backlit can be a reality. Incorporating an unexpected pop of lighting within a counter offers soft ambiance within an environment.